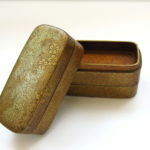 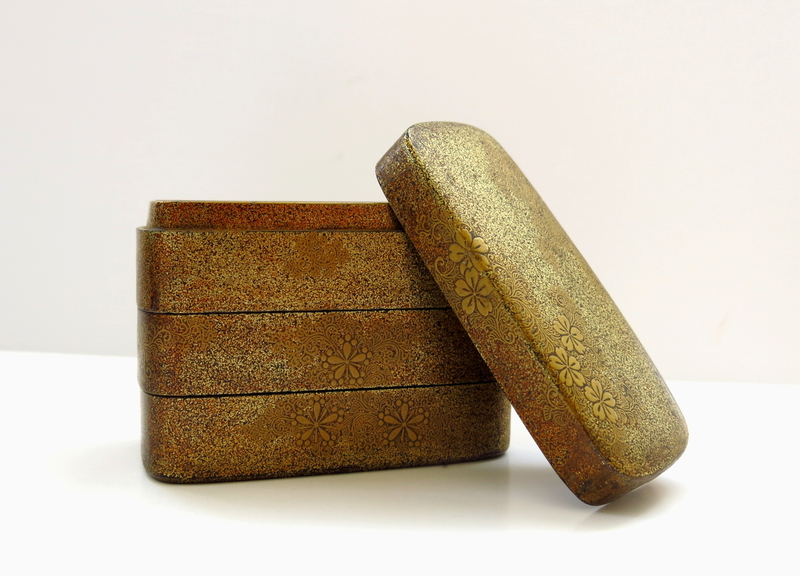 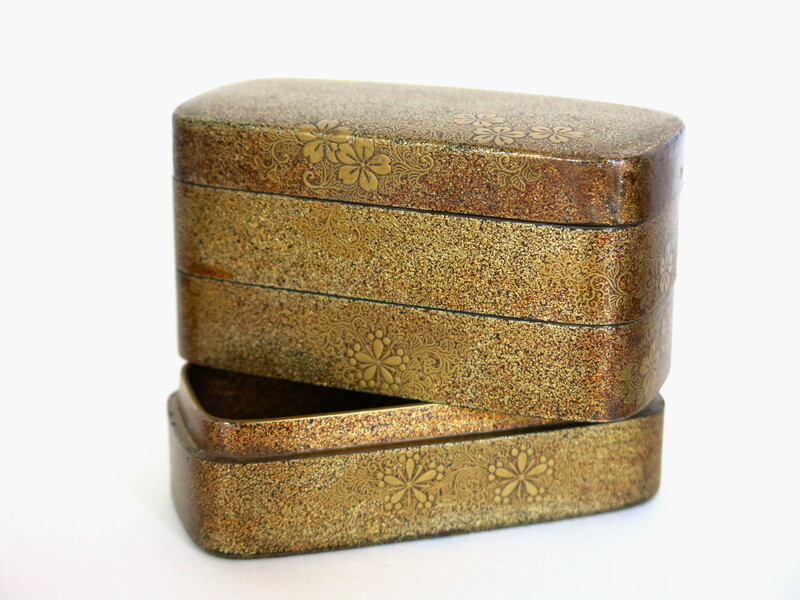 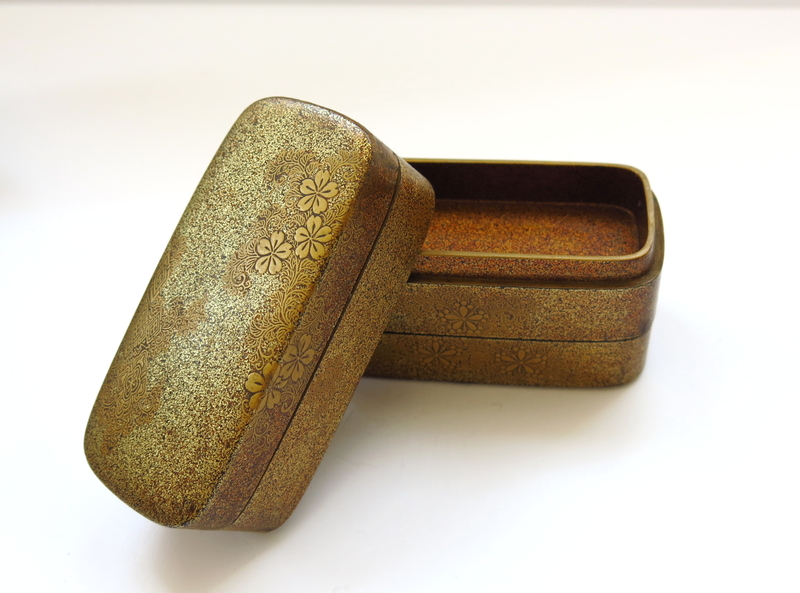 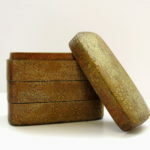 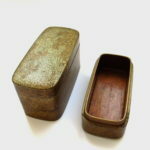 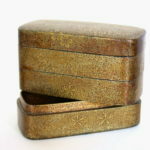 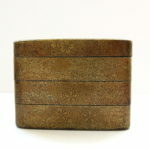 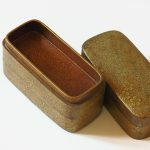 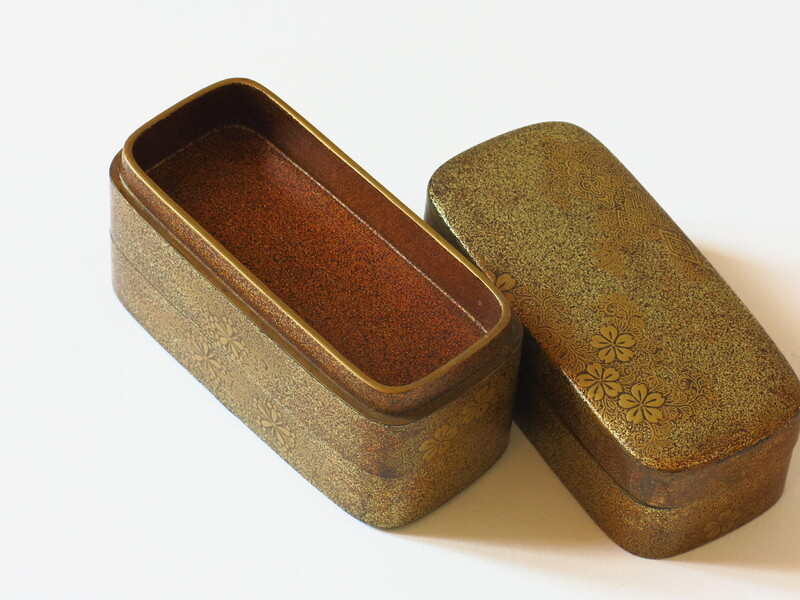 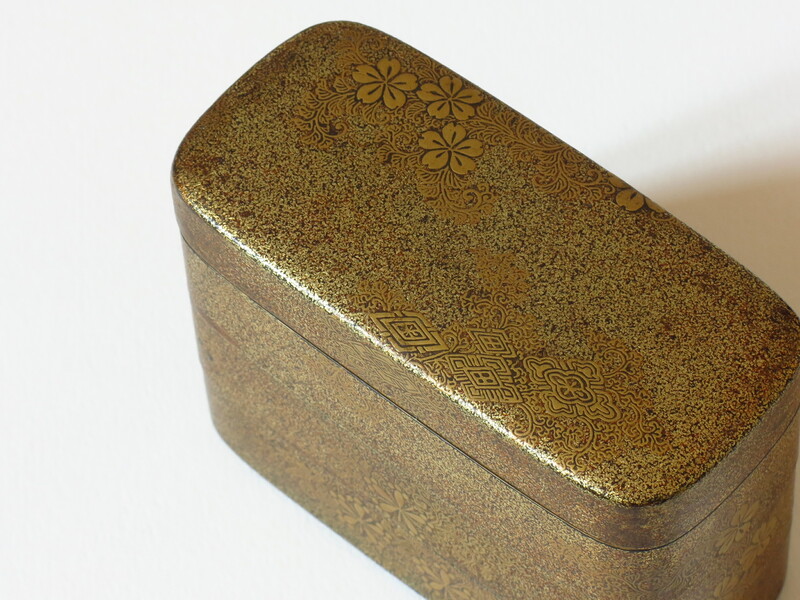 Small japanese lacquer box for incense ceremony, open by 3 cases. 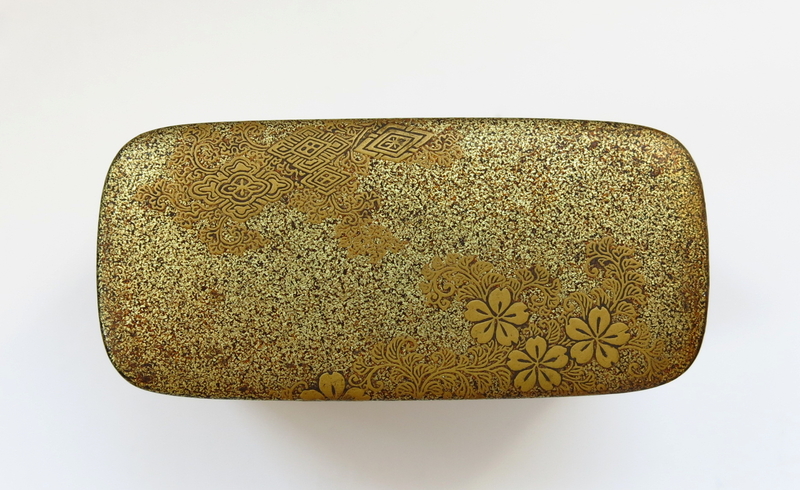 Gold flowers and foliages on a gold ground nashiji. 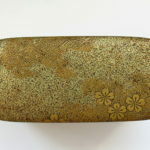 Inside nashiji ground. 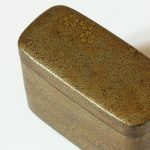 Height : 2,3 inches. 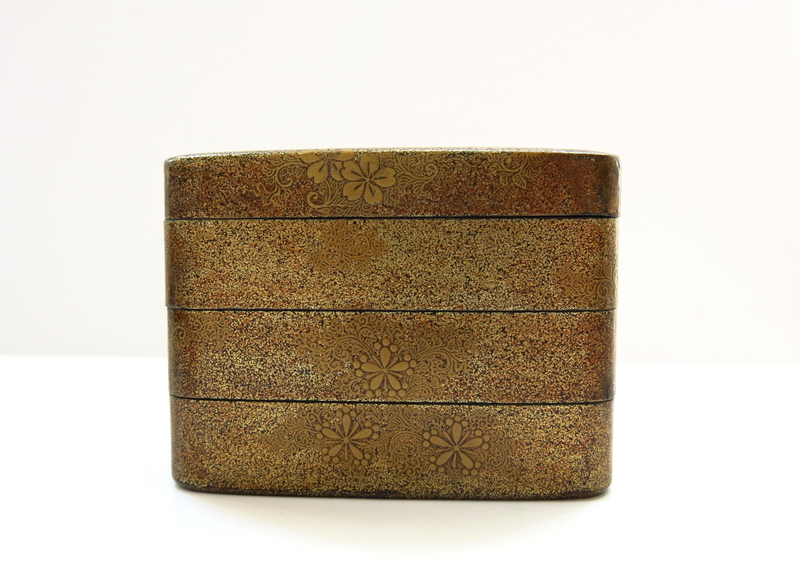 Japan – Edo (1603-1868) end of 18th century.